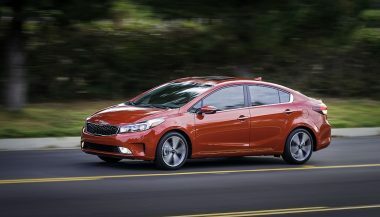 The all-new Kia Rio is cheap, well equipped, and is more connected than a 2010 Mercedes-Benz S-class. But in the very competitive subcompact segment, is that enough to make the Rio a winner? This is the fourth-generation Rio, but if you remember the first generation, which sold from 2000 to 2005, you’ll have a hard time reconciling it with what Kia has become just three generations later. That first car was cheap, and that was about it. The new Kia Rio grows up. The last-generation car was a bold design. 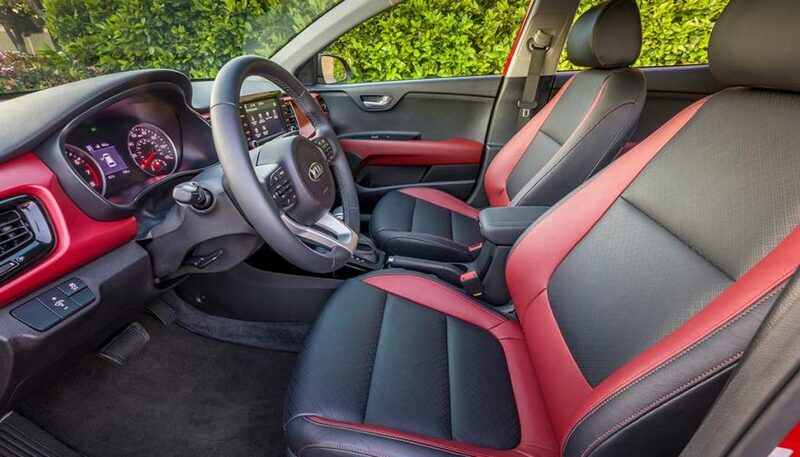 Subcompacts trade as much on style as on price, and that Rio delivered on style. The big grille, bold body-side cut and surprising show-car stance all made it a fun, funky car. The new model is more sedate. The filled-in piano black grille, flat sides and upright shoulder line in the doors is a much more mature design. It’s a style that seems better suited to a larger car. That change is a bold move for Kia. The new car is about an inch longer, and it gains about a cubic foot of space in the cabin and in the hatch compared to the the old one. The sedan gets almost two more cubic feet of space in the trunk. 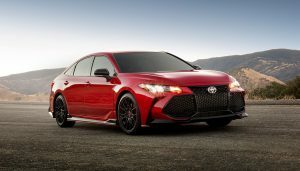 It’s a stiffer chassis, thanks to more high-strength steel in the body and subframes. It’s lighter too. The new Kia Rio gets a 1.6-liter four-cylinder. The direct-injected engine makes 130 horsepower and 119 lb-ft of torque. Not stratospheric numbers by any means, and down eight horsepower from 2017, but they’re good for the class. And in a car that starts at just 2,648 lbs, it’s more than enough. However it does get a little sluggish with the AC running. A six-speed manual is the standard transmission, and a six-speed auto is optional. The automatic is generally smooth, but will sometimes get caught snoozing. Small throttle openings after near-stops mean that you’ll be waiting a few moments for the car to decide to go. The Rio sedan and Rio5 hatchback come in three trim levels. 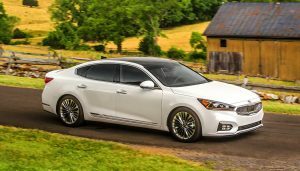 Kia keeps it simple with LX, S and SE models. Surprisingly, US-bound LX models have crank windows. That’s one of the choices made to help the LX start at $13,900 for the sedan. That’s $265 less than last year. But what does that LX model give you? Well, it’s got a spare tire. That’s something most luxury cars dropped a long time ago. But it’s an important feature for low-cost buyers who might not be able to afford a tow truck. It also gets a height-adjustable driver seat, and a split-folding rear seat. Oh yeah, AC is standard too. That’s a big feature to put on the base model in this class. There’s also a 5.0-inch touchscreen audio system with satellite radio. No pushing you to a top trim for Sirius here. It has a USB jack, steering-wheel audio controls, and Apple Carplay and Android Auto. That’s everything you really need in a car these days. Step up to S and EX, and you get more stuff. 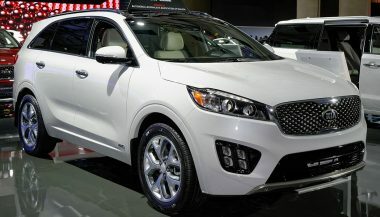 The EX tester had navigation on a 7.0-inch screen, perforated leather seats, and Kia’s UVO system of connected car apps. Inside, the new car is a step forward. It’s comfortable. Materials get a big boost and the Rio is a nicer place to be inside. The interior is the equal of bigger and more expensive cars. It uses Kia’s attractive red lighting for nighttime use, and it’s easy on the eyes in the dark. There is lots of room in the Rio5 with enough headroom, even in the back, for all but the tallest passengers. Knee room in the back is a little tighter, but still excellent for the class. So how is the Kia Rio on the road? It’s longer than before, but it’s still a short wheelbase. That makes for a busy ride. The Rio’s front suspension doesn’t settle before the back wheels hit the same bump. So rough roads can be a little jiggly or unsettling. It makes the steering jumpier too. Instead of turning the wheel and holding it through a bend, I found that I had to make lots of corrections mid-turn. That holds true on the highway, where the Rio seems jittery side to side. That steering is also surprisingly heavy. On the road, that heft smooths out some of the car’s dartiness. But in parking lots or at intersections, this is one of the few cars that needs both of my hands on the wheel for slow-speed turns and parallel parking. The ride is on the firm side, but unless you live in a cratered landscape, ride quality is very good. I’ll trade less body roll for a few sharper bumps every day of the week. It’s busy, but it’s a fun drive. Kia has definitely paid attention to noise levels in this car. Tiny hatches from just a couple of generations ago were buzzy, tinny and generally loud. The new Rio is surprisingly quiet, whether it’s at idle or on the highway. Even with the large 17-inch wheels and wide, low profile tires of my tester, road noise was low. 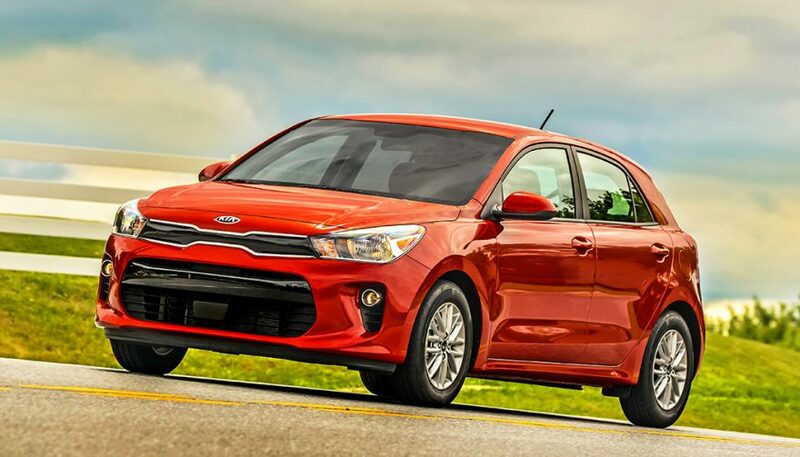 The new Kia Rio is comfortable, connected, spacious and competent. It also has a surprisingly low sticker price. Despite some extra action from the suspension, Kia’s latest box isn’t a penalty. It’s a competent car. One that just happens to be a subcompact. 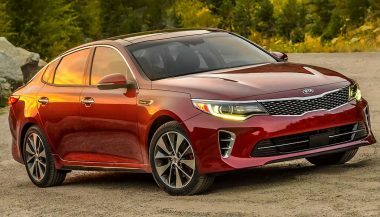 The Kia Optima steps up Kia’s game from a bargain commuter to a real-life family sedan. It ranks seventh in overall mid-size sedan sales.